Most of our nation’s older drivers are safe and conscientious. Many voluntarily limit their driving or stop driving altogether when they feel that their skills have diminished or that they are no longer physically up to the challenge. However, some seniors continue to get behind the wheel even though they are not able to operate their vehicles safely. When these seniors cause auto accidents, innocent victims are forced to pay the consequences, sometimes with their lives. 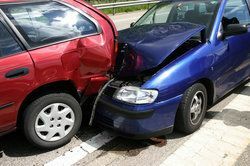 If you or someone you love was injured in an auto accident caused by the negligence of a senior driver, or if a member of your family was tragically killed in such an accident, the personal injury attorneys of the Gary A. Zucker & Associates, P.C. can help you. Our experienced lawyers will present the strongest case possible on your behalf and fight for the compensation to which you are entitled for your medical expenses, lost wages, pain and suffering, and other losses and expenses. While we have the greatest respect for our elderly population in Brooklyn, cases involving auto accidents and seniors are handled with utmost seriousness. We believe it is our duty to deliver the message that negligence will not be tolerated under any circumstance. Although there is a movement among a certain segment of the population to implement mandatory retesting of drivers above the age of 65, the state of New York has not - and most likely will not - pass such a law for several reasons. For starters, the accident rate among the state’s oldest drivers is similar to that of the state’s youngest drivers, indicating that retesting of only the state’s oldest drivers would be discrimination of the most arbitrary sort. Even if such a law could be passed, the added expense of enforcing it would put tremendous strain on the state’s already stretched-thin resources. However, it should be noted that the New York DMV does have a driver re-evaluation program in place. This program is not based on age or any standard except for driving ability. According to this program, the DMV can require that a driver be re-evaluated if a physician, police officer, or other person who knows or observes the driver provides information about a specific incident, behavior, or action to the DMV that would call into question the driver’s ability to safely operate a vehicle. While it might be unfair to discriminate against drivers based on age, it is true that older drivers are involved in a higher percentage of fatal auto accidents than other adult drivers. According to a study conducted by Carnegie Mellon University and the AAA Foundation for Traffic Safety, drivers aged 75 to 84 average approximately three deaths per 100 million miles driven, roughly the same rate as teenaged drivers. However, that rate spikes to nearly twelve deaths per 100 million miles driven among drivers aged 85 and older. If you would like to arrange for an evaluation of your auto accident case, please contact Gary A. Zucker & Associates, P.C. today.